Martyn Hilbert's Railway Photography - Preston & District - 56085 at Strand Road Crossing. 56085 at Strand Road Crossing. 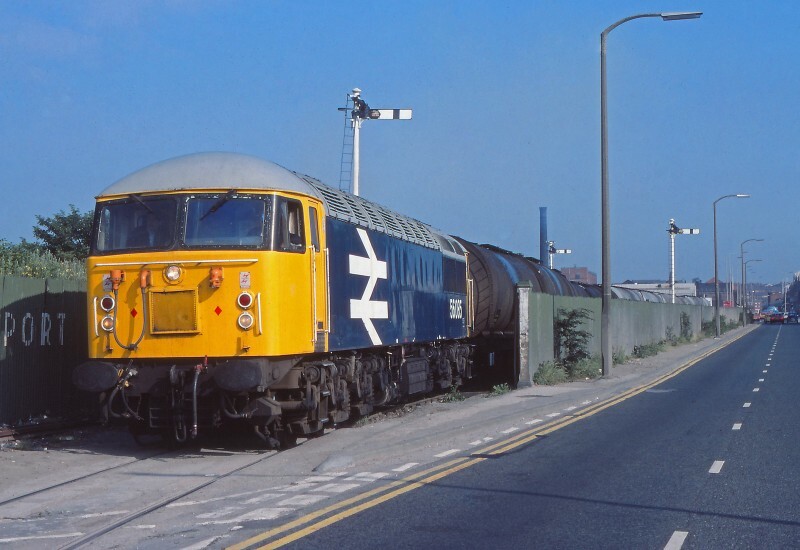 With three home signals guarding the exit to Strand Road level crossing, 56085 emerges from the former Preston Dock Estate with a mixed load of empty tar & petroleum tank wagons, being returned to Lindsey Oil Refinery on July 25th 1984.